The Greeley Estates is a multifaceted rock band out of Phoenix, AZ. The band continually changes up their style to keep fans and themselves on the edge of the seats. The band is made up of vocalist Ryan Zimmerman, Brandon Hackenson and David Ludlow on guitar, drummer Chris Julian, and bassist Kyle Koelsch. BareBones Ent had a chance to talk with Ryan Zimmerman, check out what he had to say. 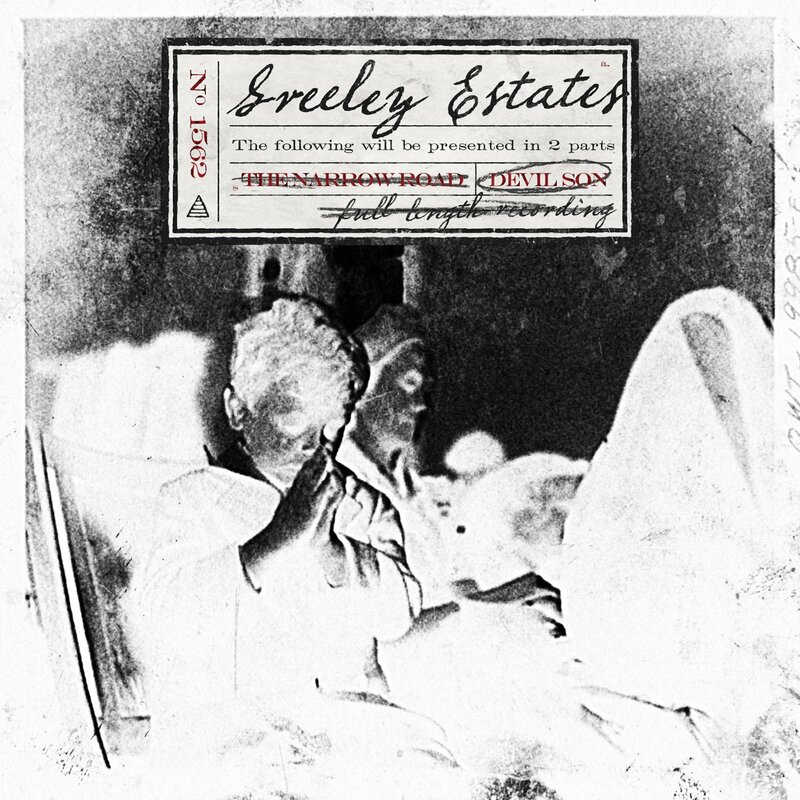 BS: How long have The Greeley Estates been together? BS: What do you feel that you offer listeners that they may not have heard before? TGE: Our band always strives to find a new musical direction with each release. I feel we have been able to create a different sound that sets us apart from other bands in our genre. BS: You recently released a new EP, Devil Son, which is said to be a change for you. How is it different than your previous music? TGE: Over the years we have gone many directions musically. We feel that switching it up keeps it fresh for us and our fans. This record was a two-part release (two EP’s) the first release was fast and heavy, some would say “metalcore”. The Devil Son EP has a softer ambient element that we haven’t experimented with since our early work. BS: How have people reacted to the change in direction musically for the band? TGE: So far, surprisingly we have had a great response. I think it helped that the record came in two parts so that our fans could get a taste of both sides of our music. BS: I think each song has its own unique feel on the EP. One of these is “Turn The Night Away,” which is a great song. What was the inspiration behind the song? TGE: Yeah, it almost feels like a B-sides record because all of the songs have their own vibe. “Turn the Night Away” is one of my favorite songs also. The music is very haunting. Lyrically it is about looking out for your friends when they are in a dark place, trying to help them avoid self-destruction. BS: What made you choose “Turn The Night Away,” as the first single off of Devil Son? TGE: We all thought it was a good mix of our older ambient sound and the new heavy element we have had over the past several years. The breakdown on the bridge of this song is one of the heaviest moments we have had in our songs. BS: You released a music video for “Marionette,” what made you want to release a video for that song? TGE: We thought Marionette had such a different vibe for us and we felt this song would get the attention of our fans. BS: What has been your favorite song off of the new EP to play? TGE: The only song we have played live so far is Marionette and it has gone over great with the fans. BS: When can fans expect to be able to see you live? TGE: Not sure yet, hopefully soon. We have spent 8 to 10 months a year for the last 8 years on the road, it has been nice to catch up with friends and family at home and take some time to figure out what is ahead for us. TGE: There are a lot of bands that I am a huge fan of but ultimately it’s amazing to be on tour with your friends. We love touring with bands like Oh Sleeper, August Burns Red, Memphis Mayfire, Bless the Fall, Fact to mention a few. We go way back with those bands and it’s always great to hang with old friends. BS: Over the years you have been able to retain a strong and loyal fanbase. What has it meant to you to have that type of support for your music? TGE: Our fans mean everything to us, they are the reason we are still playing music. We realize we have a very loyal fan base and we are very appreciative of it. BS: What do you think it is about the band that has kept your fans so interested and loyal to your music? TGE: Thanks for the support. If you haven’t checked out “The Narrow Road” or “Devil Son” yet, pick up a copy and support independent music. See ya on the road sometime soon!